We have been working with this newly established faith school in their early years to help them evaluate their accommodation requirements and the suitability of premises for conversion. 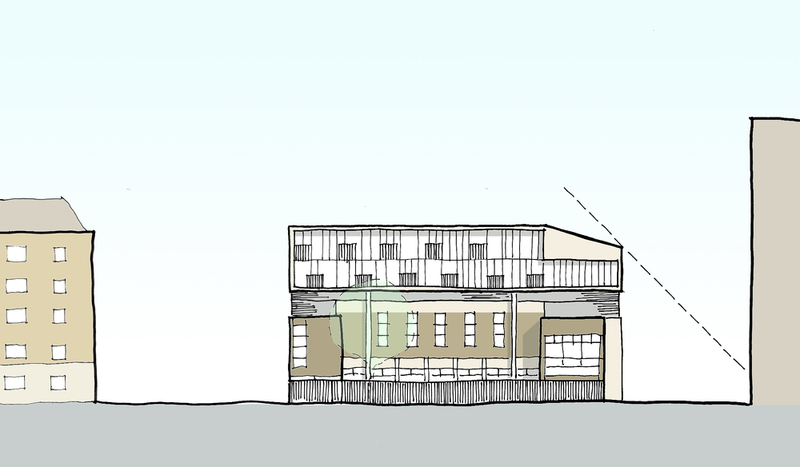 A former church school building has been purchased and we have developed design ideas and options to show how the building could be adapted and expanded in phases to meet the statutory requirements, including BB99, for a one-form entry primary school, with a view to it eventually gaining VA status. We sought to retain as many of the original features of the Victorian assembly hall as possible, whilst introducing modern elements to integrate learning and activity areas. 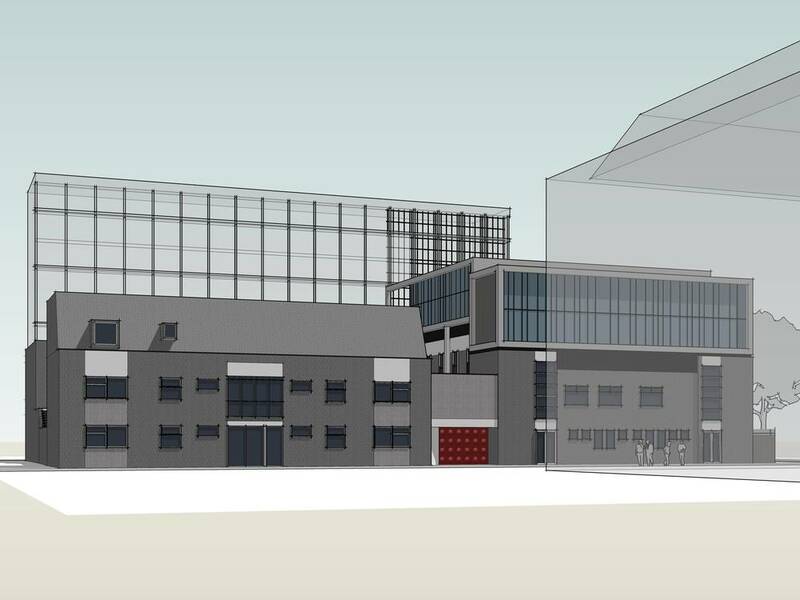 The plan is arranged along a main corridor which has been conceived as ‘street’, with appropriate hard finishes and lighting and classrooms having ‘shop windows’. Square Feet Architects were asked by this community nursery to investigate the options to provide additional learning and play space.The nursery is a registered charity with all of the children and parents being shareholders in contributing to the ongoing improvements and success of the quality of the childcare provision and education. 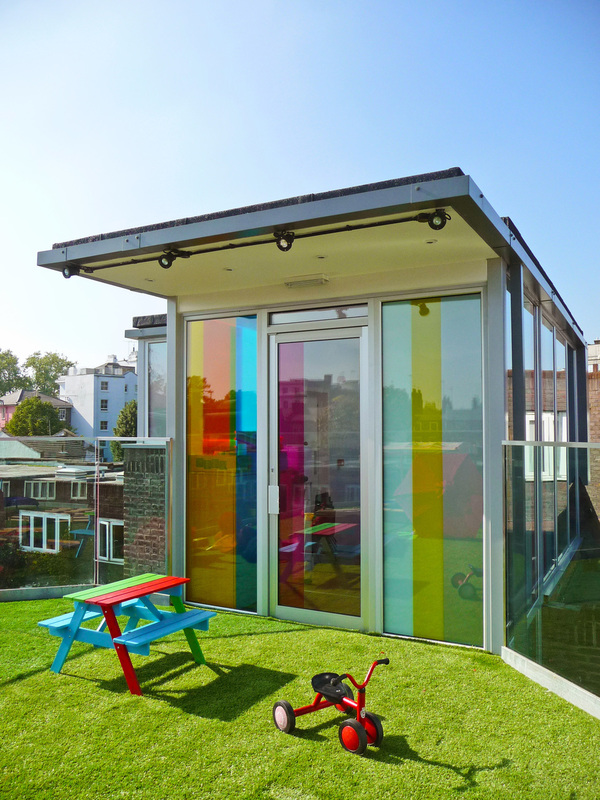 As part of the Department of Education’s Quality and Access Fund for all Young Children we have helped the nursery create a new state-of-the-art sensory mezzanine space plus an innovative 360-degree rooftop playground. Making sense of the playspace. We worked with the French school which has around 3500 children aged from 4 to 18 on various projects to upgrade, maintain, and convert their buildings for their needs. During summer 2010 we worked on a fast-track project to create a new computer room as part of the library, a new art classroom, and a new music room. This involved working closely with the school’s staff and having to conform to both English and French Building Regulations. In 2011 we renovated the school's existing playground to integrate covered areas, seating, and other play spaces to link and rationalise the entrance and movement between the various school buildings. We introduced generous tensile fabric canopies to offer cover on rainy days and designed concrete furniture to create “outdoor living rooms” for the students. Yesodey Hatorah School is a strictly orthodox independent school which was established in 1942. The boys and girls departments are located on different sites, both in Stamford Hill. 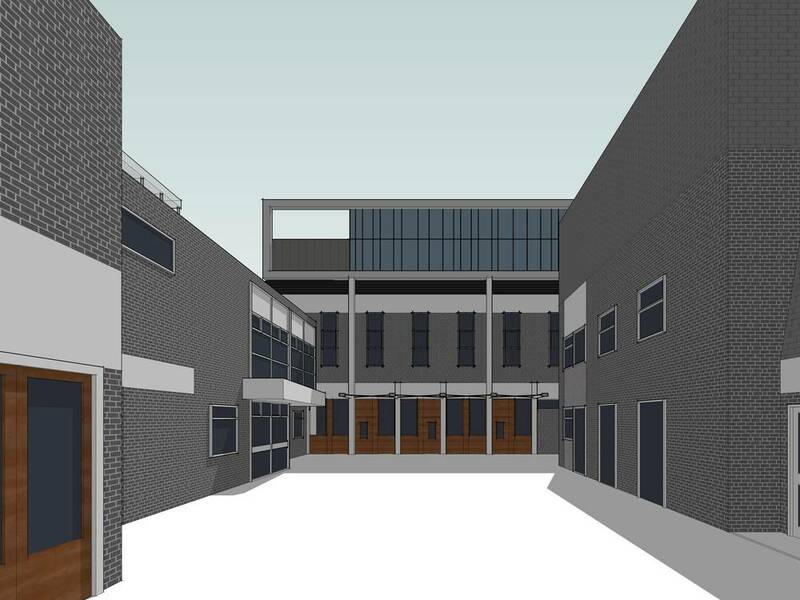 We are refurbishing a wing of the boy's primary school, new classrooms, one-to-one rooms and other learning spaces. 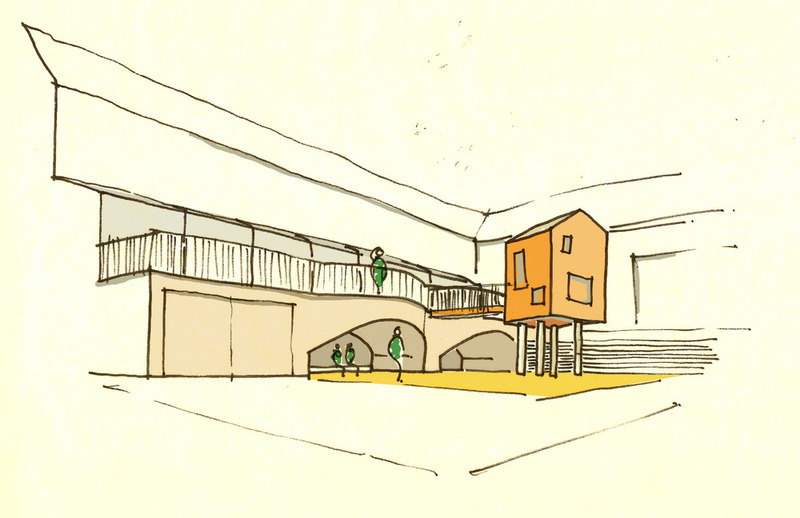 The scheme includes for updating the school hall which is often used for community gatherings and celebrations. Works started June this year and due for completion early 2018. Creating play and teaching space from thin air. This local primary school, originally an award winning Allies & Morrison designed building, is located on a very tight site with very limited playspace. We were initially asked to assist with the resurfacing of the area. 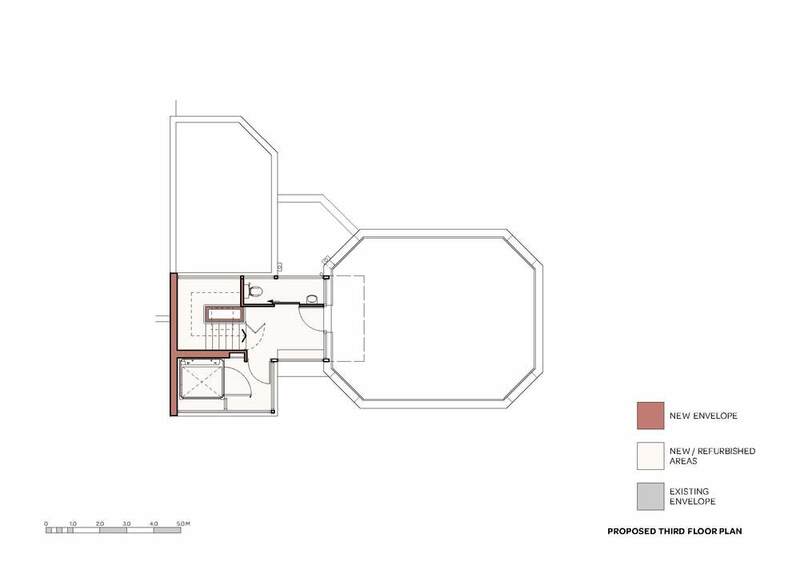 We undertook a more holistic review of the space to see how the areas around the building could be better utilised. 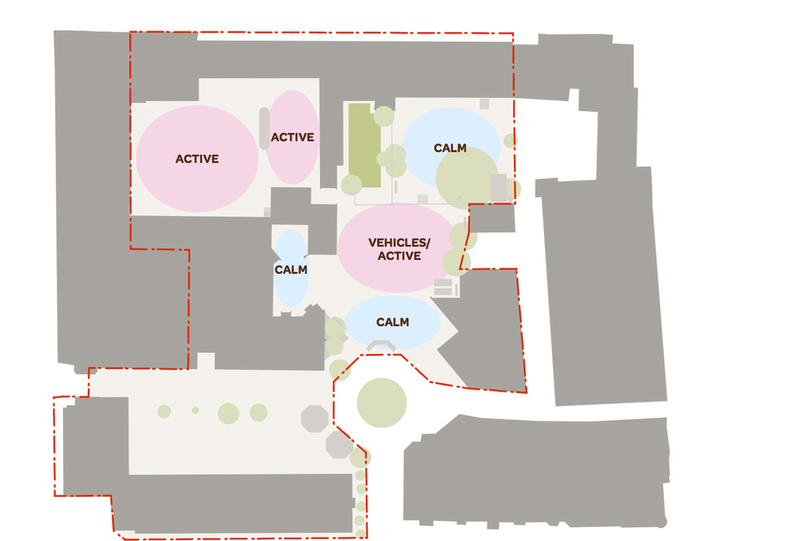 We sought to make different zones - active (running around and sports areas), passive (sitting, chatting etc), and also thinking of activity somewhere in between. 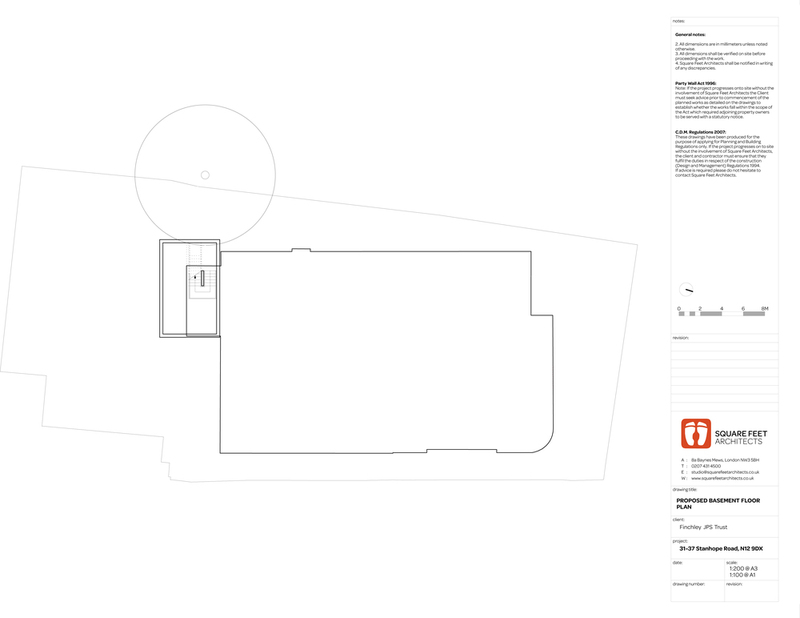 We sought to make the playground also an extension of the classroom, with flexible informal teaching spaces. We struck upon the idea to make a feature multi-storey play and teaching structure - an object to play around, to play under and to play within. The teaching staff love to use the two aerial teaching spaces as a story telling house, and for art and science lessons. We created a row of 'beach huts' to provide much needed playground and PE storage. 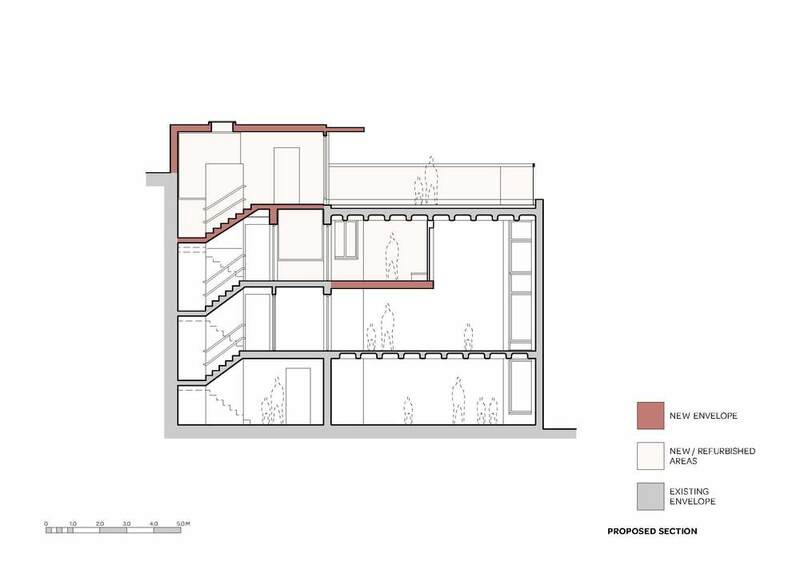 Extending a primary school on a tight urban site. Naima JPS is a community primary school located in an area where house prices deter teachers from living locally. The school struggles to recruit teachers for this reason and so wishes to provide eight ‘keyworker’ flats on top of the existing building. The scheme also includes a new art room for the school. 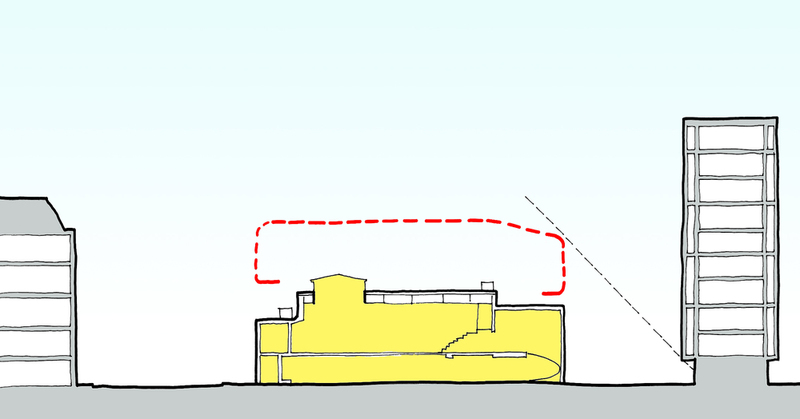 The school is located on a tight island site arranged around a courtyard used as the school’s playground. Because there is no school land surrounding, a workable construction methodology whilst the school remains in operation is critical. 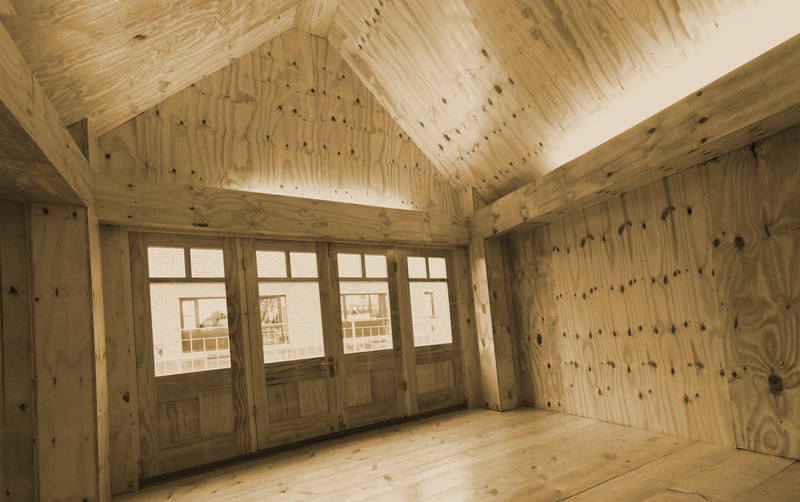 We designed the units with prefabrication in mind from the start to minimise the disruption and hazards to the school. The planning issues were difficult to reconcile but the proposals were finally approved at appeal. We have also been asked to look at alternative proposals to build a covered playspace instead of flats.